Multiple sclerosis (MS) is a challenging neurological condition that affects about 2.5 million people around the world. Previous research has found that exercise therapy is an effective way to improve quality of life in MS patients and help slow the progression of the disease. A new study from Canadian researchers shows that Pilates may be an effective exercise for MS patients. In this article, researchers looked at 30 individuals with MS who were not restricted to a wheelchair or scooter. Half of the patients did two 50-minute Pilates sessions a week and received a weekly one-hour massage, and the other half just received massage therapy treatment. The intervention lasted 12 weeks. All of the test subjects were evaluated at the beginning of the study and at the end of the intervention for walking performance, physical performance, and quality of life. At the end of the study, the researchers found that on the “6-Minute Walk Test,” patients who performed Pilates were able to walk 52.4 meters in 6-minutes, while the massage-only group averaged only 15 meters. The study didn’t find any statistically significant benefits on the other outcome measures. 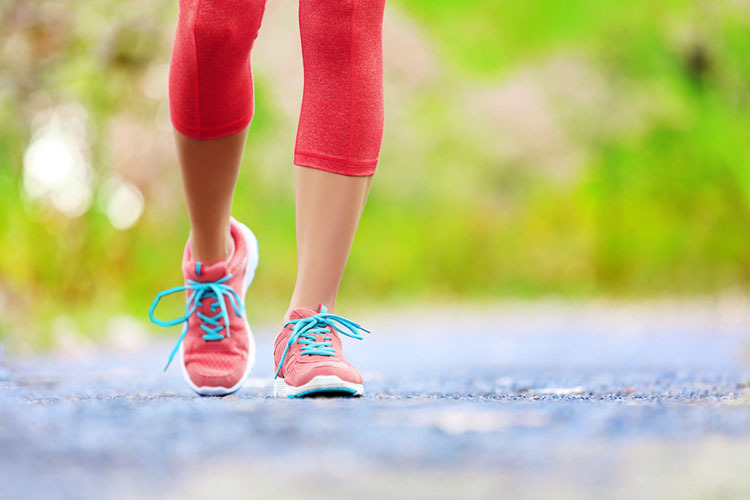 The authors write, “The improvement in walking ability that we observed may be partially a result of the CoreAlign exercises, which focus on improving gait by maintaining proper alignment and activation of the hamstrings. Duff WRD, Andrushko JW, Renshaw DW, Chilibeck PD, Farthing JP, Danielson J, Evans CD. Impact of Pilates Exercise in Multiple Sclerosis: A Randomized Controlled Trial. International Journal of MS Care. 2018 Mar-Apr;20(2):92-100. doi: 10.7224/1537-2073.2017-066.